I've been eating all-natural food since I was a child and primarily organic food since I was a teenager, so it's been a long time since I've had any prepackaged snack foods from conventional brands. I genuinely enjoy organic food and feel much better avoiding chemical additives, so I'm hardly ever tempted by conventional treats anymore. 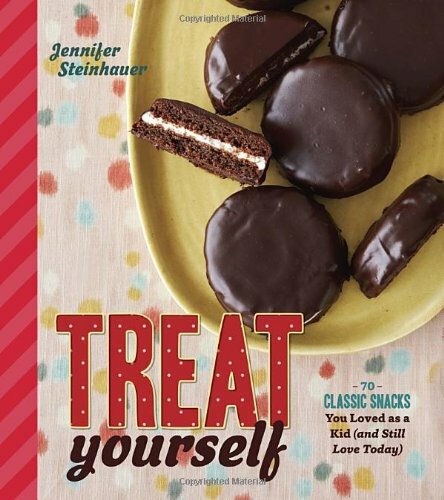 However, I would still enjoy many of these treats if they were made with natural ingredients, so I was very intrigued when I spotted Jennifer Steinhauer's Treat Yourself, a cookbook purporting to share the secret of making classic snack foods with natural ingredients. Treat Yourself is divided into seven chapters: Classic Cookies, Sandwich Cookies, Snack Cakes, Fruity Treats and Filled Things, Savory Snacks, Candy, and Frozen Treats. 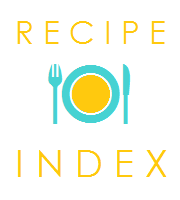 The recipes are called by the commercial brand name of whatever they're imitating, so it's easy to find what you're looking for. Full color photographs of the treats are included for many, but not all, of the recipes, and each recipe contains an introduction by the author providing background information on the treats and anecdotes about her attempts to find the perfect replica. Steinhauer's style is snappy and internet-esque, with occasional profanity included that I found somewhat off-putting--I suppose I'm not hip enough to like cookbooks that swear at me. When I first requested this book for review, I thought that I'd attempt Steinhauer's recipe for Tastykake Butterscotch Krimpets (a Philadelphia region classic) to test how closely her recipes replicate their inspiration. I was impressed that Steinhauer knew to make browned butter icing instead of butterscotch chip icing, a mistake I once saw on the King Arthur Flour blog, but ultimately I never got around to trying the recipe. This fact, in itself, says something about the recipes in Treat Yourself--while their inspirations are convenience foods, the recipes are decidedly inconvenient to make. The Butterscotch Krimpet recipe calls for separating eggs and beating the whites, an old-fashioned and time consuming way of making cake that requires a lot of extra bowls. This may produce the most accurate texture, but there are much quicker and simpler methods of making homemade cake. For me, replicating something like the Butterscotch Krimpet is just not worth the time and effort when I can whip up a delicious mix-in-the-pan chocolate cake much more quickly and easily. I'm happy to leave commercial treats in the past, and satisfied with my simpler recipes for homemade treats.